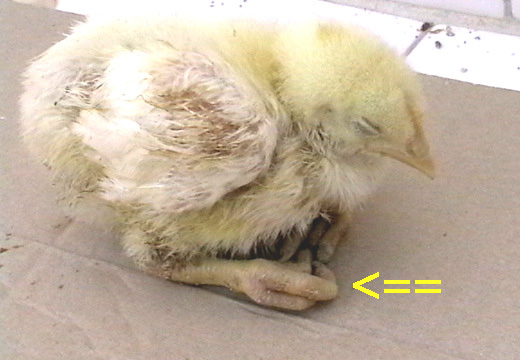 Curled-toe paralysis is caused by riboflavin (vitamin B2) deficiency in young chicks. 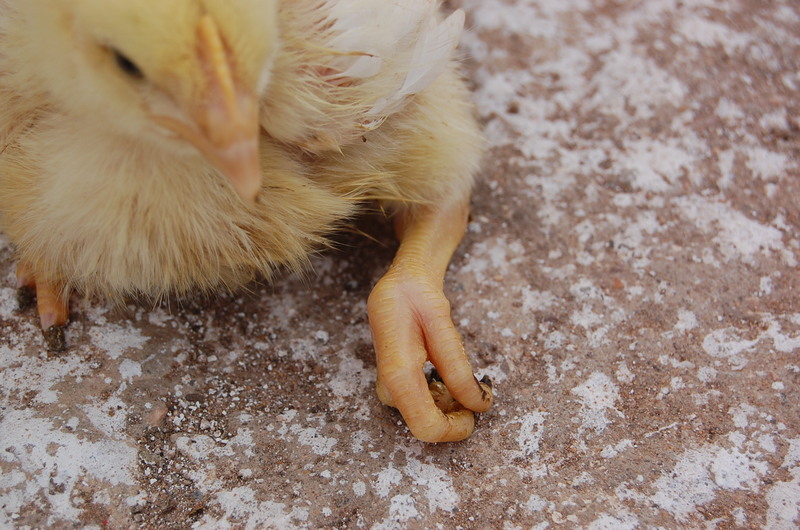 It is one of the most characteristic signs associated with the vitamin deficiency, resulting in the curling of the chicks toes. The condition nervous system related due to peripheral nerve damage, related to degeneration of the sciatic nerves (the nerves along the back of the chick's leg to the foot). The damage can be reversed if treated quickly, however in longstanding cases where treatment is delayed the condition will become permanent. 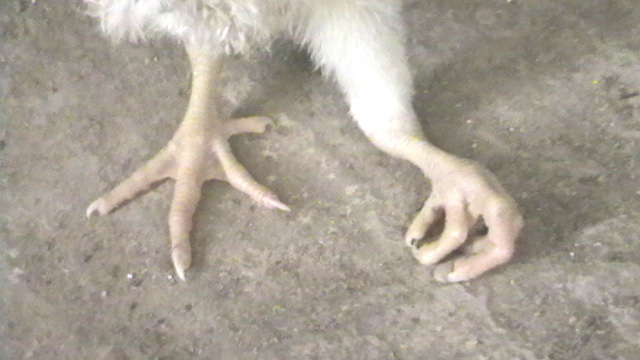 Although curled-toe paralysis is seen commonly in newly hatched chicks, studies have shown that only about 10% of riboflavin-deficient chicks develop clinical signs. 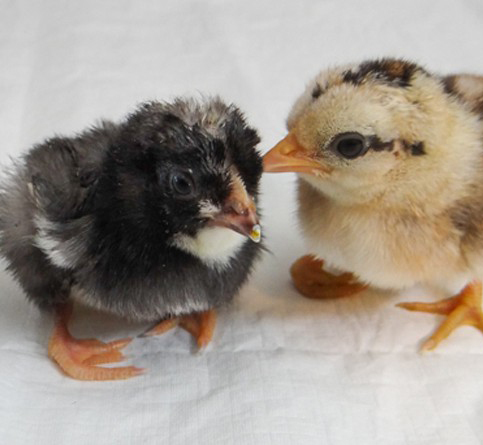 Riboflavin deficiency in chicks is most often the result of breeding from riboflavin-deficient parents. Riboflavin, also known as vitamin B2, is an essential, water-soluble B vitamin. It helps the body transform proteins, fats, and carbohydrates into energy. Riboflavin also helps maintain healthy skin and eyes, and is necessary for building and maintaining body tissues. 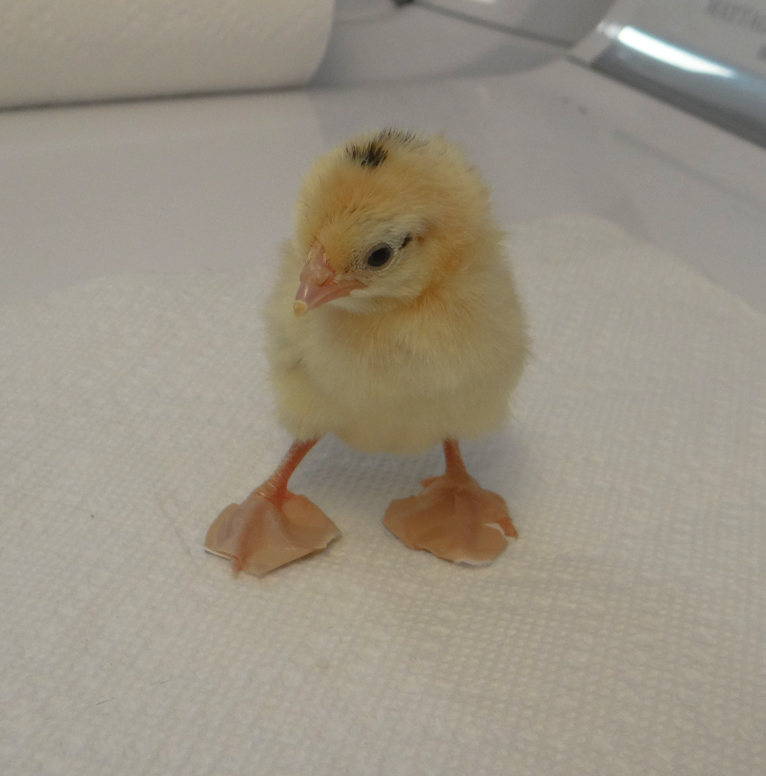 Chicks that are fed a riboflavin-deficient diet will begin to show signs at about 8 to 14 days following hatch. They will slowly develop progressive symmetrical paresis starting with initial signs of reduced growth rate (despite a good appetite), weakness and sometimes diarrhea. 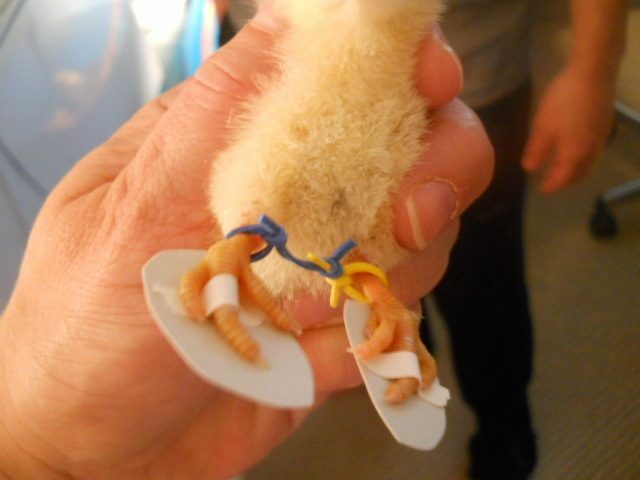 Affected chicks soon become reluctant to move, followed by intermittent flexing and inward curling of toes. 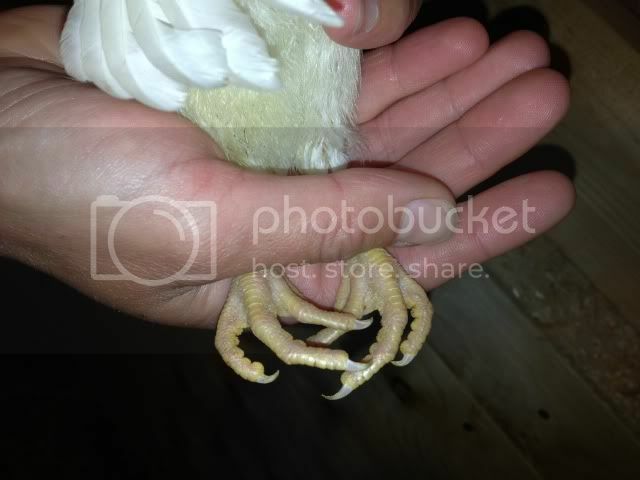 Without use of the legs, the muscles in the legs will start to atrophy and may eventually extend outward out from underneath the body of the chick. 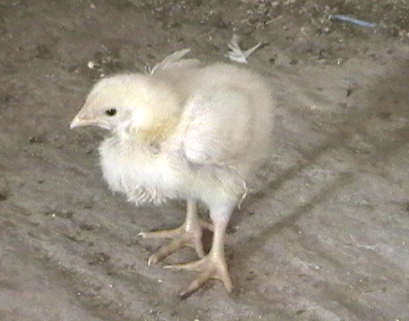 During advanced stages of this condition, chicks are seen more frequently resting on their hocks, trying to walk as little as possible. 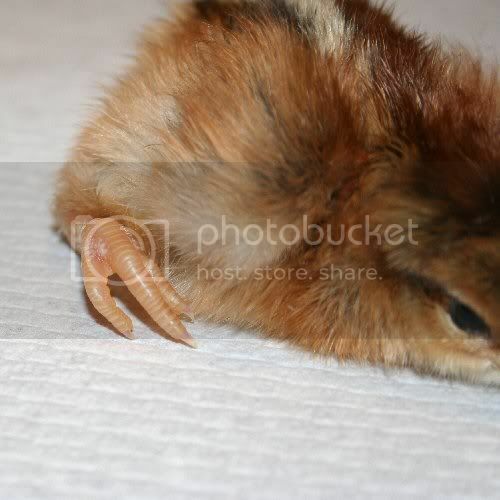 It is at this later stage that chicks are at high risk of death from starvation, due to inability to reach food or water sources, or from getting trampled on by other chicks. 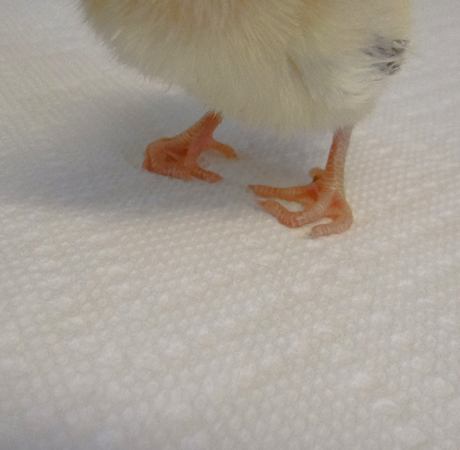 The condition is still treatable however, as the chick's peripheral nerves are able to rapidly regenerate once riboflavin levels are restored. green leafy vegetables and forages, particularly alfalfa, which leaves having the highest concentrations of the vitamin. There are no reports of riboflavin toxicity studies in poultry. According to the NRC, most data from studies conducted on rats have found that dietary levels between 10 and 20 times the requirement (possibly 100 times) can be tolerated safely. 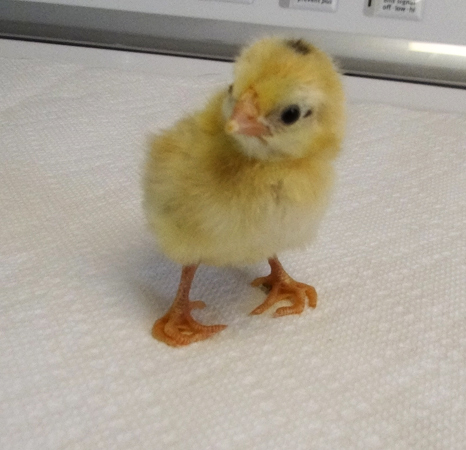 Supportive care Isolate the bird from the flock and place in a safe, comfortable, warm location (your own chick "intensive care unit") with easy access to water and food. 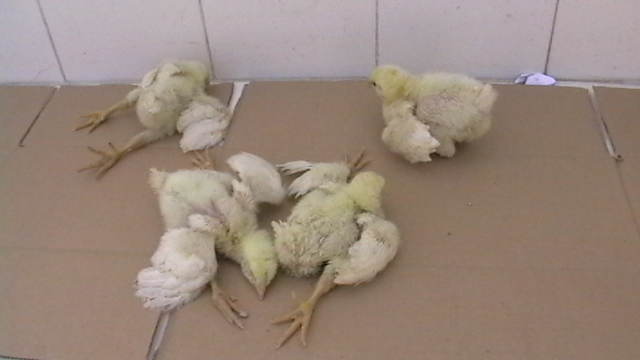 Feed management Replace current feed with a new bag of quality chick starter feed. Ensure any adult chickens intended for breeding are receiving enough riboflavin in their diet (10-16 mg/kg). 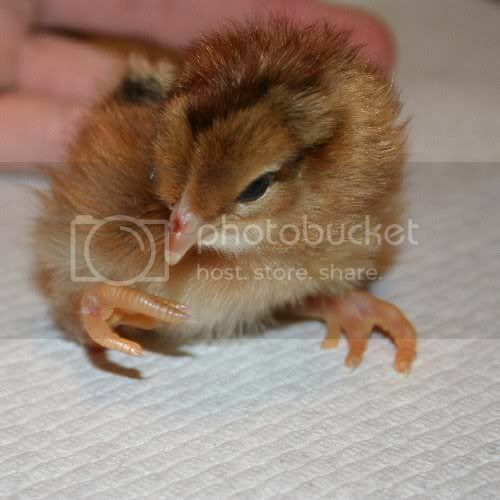 Feed newly hatched chicks a fresh bag of starter chicken feed (not feed that has been stored for longer than 2 months), with additional riboflavin food sources during the two weeks of life. During warm weather, provide supplemental sources of riboflavin. Always store chicken feed properly and discard any left after 2 months. 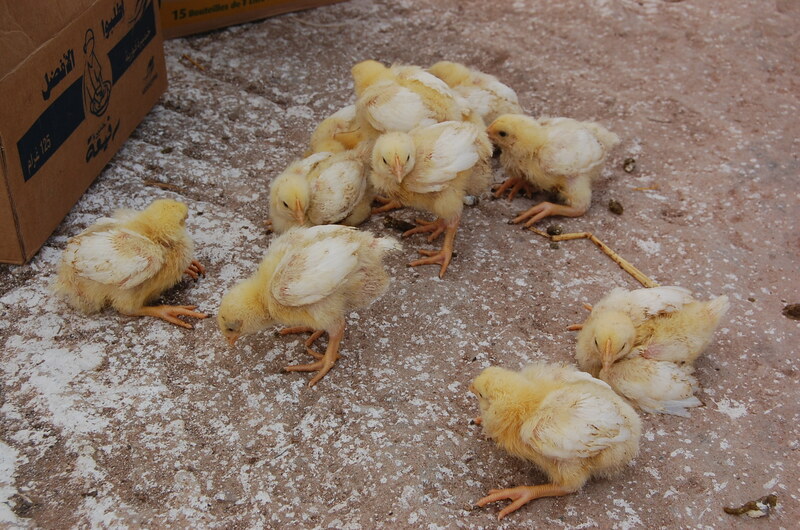 Feeding adult chickens intended for breeding, riboflavin deficient diets. Layer feed is not sufficient. Breeder feed with additional riboflavin sources are required. 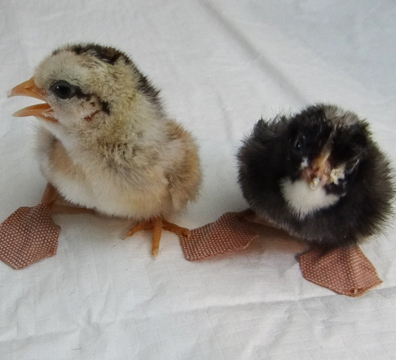 Warm climates - Environmental temperatures also have an impact on riboflavin requirements, and more is required for chickens raised in a tropical environment or exposed to chronic heat stress.